Narym, or Narymskaya, horses are from Russia. Russian horses are varied and have developed over a period of thousands of years. They have evolved to live in harsh climates--cold and desolate. There is often little forage for survival, however, the Russian breeds are hardy. Narym Ponies are similar to Ob ponies and originated near the same area in the central of the region near the Ob River of Western Siberia. 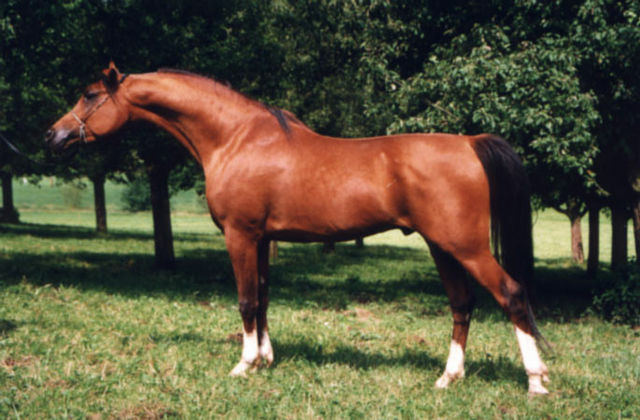 The two breeds live under much the same ecological and economical conditions, and may be considered two groups or types of the same breed of northern forest horse. It stands between 13 and 14 hands high. Narym Ponies are larger than the Ob pony and is crossed with draft horses and trotters in the southern part of the breeding area. In the north, they are bred pure.